1 Bdrm 1st flr Flat. Hall. Lounge. Kitch. Bdrm. Shower rm (CT Band - B). Price over £112,500 Entry by arr. Viewing contact solicitors. (EPC band - F). Lying in the heart of the city, this ONE BEDROOMED FIRST FLOOR FLAT comprises a good sized lounge, large double bedroom, fully fitted kitchen and modern shower room. 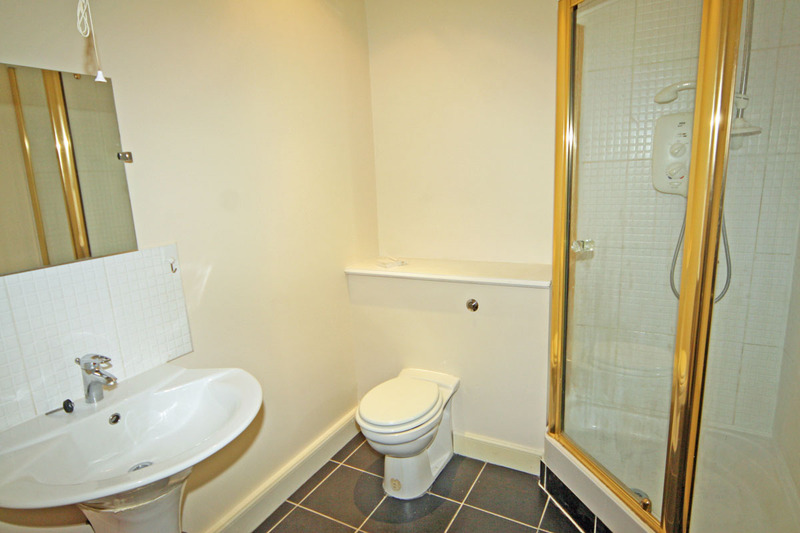 The property has electric wet radiator central heating and a security entry system fitted. All carpets, floor coverings, curtains and blinds are included as are the kitchen appliances. The property could not be more central, lying as it does in the middle of Union Street with an unrivalled array of shopping, dining and public transport facilities close at hand. Brief Particulars: Hall, Lounge, Double Bedroom, Kitchen, Shower Room. HALL Giving access to all rooms; high-level cupboard housing electric meter; wide double door storage cupboard with further cupboard above; radiator; security entry handset. LOUNGE (12’ x 11’7” (3.66m x 3.53m) (excluding alcove) approx.) 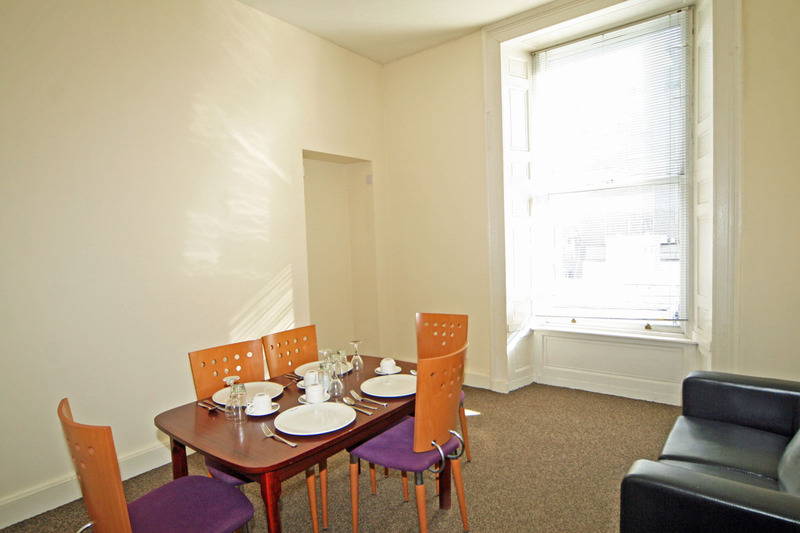 To front of property; venetian blind; carpet; radiator; NB sofa together with dining table and chairs can remain. DOUBLE BEDROOM (12’5” x 12’ (3.79m x 3.66m) (excluding alcove) approx.) 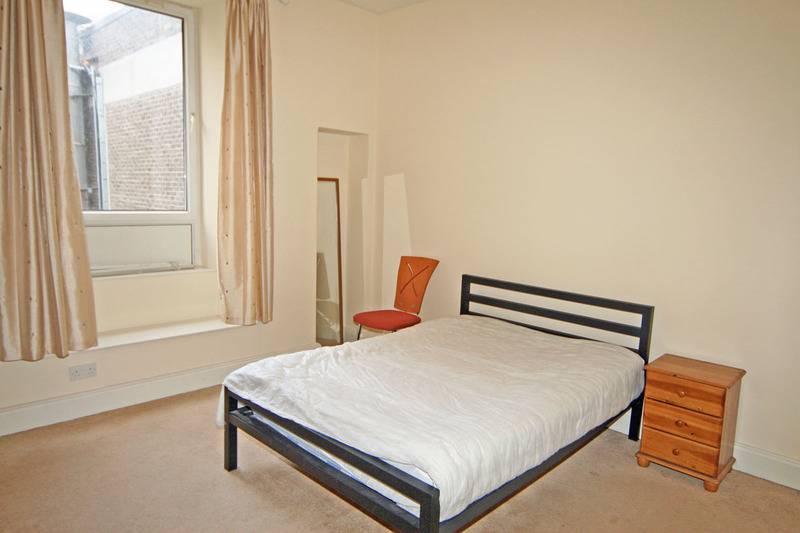 To rear of property; small alcove; recessed display area; bed and other items can remain; curtains; carpet; radiator. KITCHEN (8’ x 7’11” (2.44m x 2.41m) approx.) 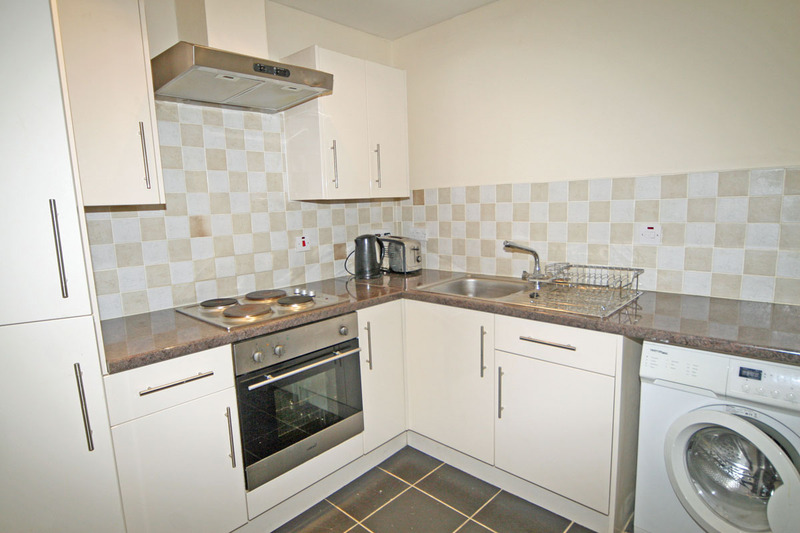 Fitted with range of cream coloured gloss base and wall units with contrasting worktops; tiled above worktops; stainless steel sink with drainer; fitted oven and hob with extractor hood above; fridge/freezer and washing machine to remain; ceramic tiled flooring. SHOWER ROOM (7’7” x 6’6” (2.31m x 1.98m) approx.) Modern three piece suite including corner shower cabinet with fitted Mira Sport shower; fitted mirror; heated towel rail; ceramic tiled flooring. 1. Electric wet radiator central heating. 2. All carpets, floor coverings, curtains and blinds included.